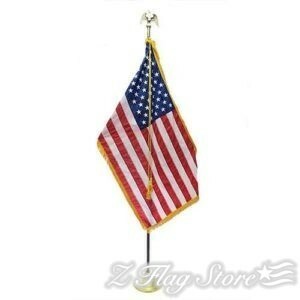 Indoor flagpoles and Parade poles can be a great decorative element in any indoor space. 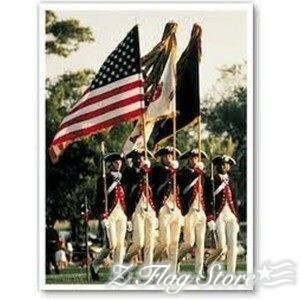 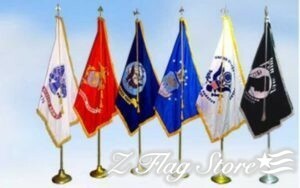 These flag display poles are available in a variety of sizes and finishes. 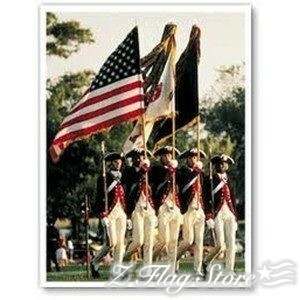 Our indoor and parade sets come with all accessories and parts that you will need for a great looking display; you can even pair our sets with our flagpole accessories to create a unique set that fits your needs.